The Inter-Governmental Authority for Development (IGAD) Regional Economic Community comprises 8 member states with combined GDP of USD 218 billion and population of 250 million (World Bank, 2015). The region has been characterized by low socio-economic performance for many years, but has experienced a turnaround in the last two decades when most countries recorded impressive economic performance. Since the year 2000, these economies have grown at annual average rate of 5.9 percent. Accordingly, maintaining high growth is a prerequisite to ensure sustainable development in the region. 2016 would be framed against the background of the Sustainable Development Goals (SDGs) that establish targets to be pursued by all countries through 2030. In view of the promising recent development in the IGAD community and the many challenges that member states face, it is essential to have a platform for researchers to discuss the progress made and the challenges that are faced. The annual conference on IGAD economies is such a platform initiated by the Horn Economic and Social Policy Institute (HESPI) and its partners in 2014. It is believed that the conference offers such a unique avenue for researchers, policymakers and development practitioners from the region and the world at large to debate economic and social issues of concern for the region. offer a unique venue for researchers, policy makers and development practitioners to discuss and debate important economic, and social issues of relevance to the region. contribute to the economic, and social development of the region through promotion and advancement of scientific research on economic, and social policies and related issues. 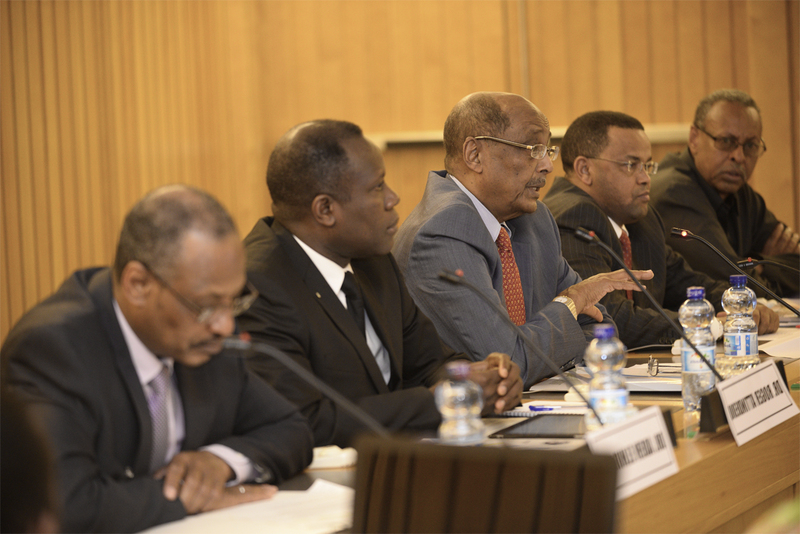 The first HESPI sponsored conference on “Economic, and Social Developments in the IGAD region in 2014” and the second on “Inclusive Growth and Poverty Reduction in IGAD Region in 2015,” were successfully conducted in, Addis Ababa. Poverty, Hunger and Malnutrition. Papers that serve as policy inputs to realizing the goals set in the SDGs to end poverty in all its forms, eliminate hunger, achieve food security, improve nutrition, and promote sustainable agriculture pertaining to the IGAD. Ensuring Quality Education. Papers centered around the challenges and prospects to ensure inclusive and equitable quality education and promote lifelong learning opportunities for all; on institutional requirements to do so; and on measurement of educational justice and related issues. Productive Work and Economic Growth. Papers that delve into labor market characteristics and implications to promoting sustained, inclusive and sustainable economic growth, full and productive employment, and decent work. Industrialization, Innovation, and Infrastructure. Papers on policies to build resilient infrastructure, promote sustainable industrialization and foster innovation.